This is a Sicilian Slab. 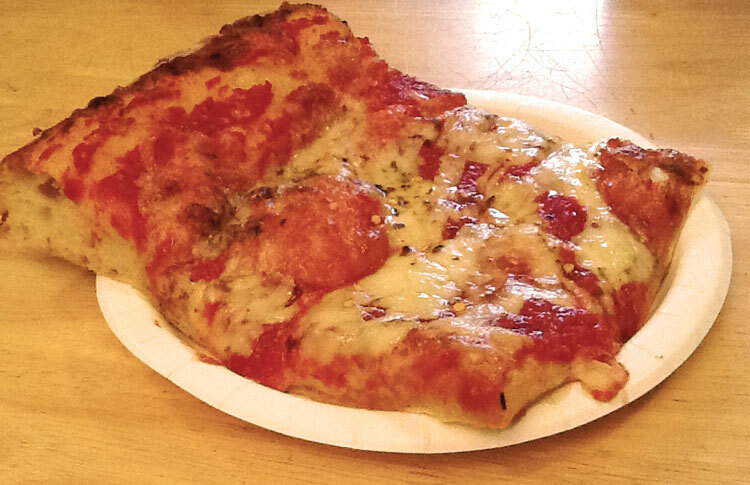 Its not your grandma’s greasy variety store pizza, its not a big floppy New York piece, its not like anything you’ve had before. The crust: moist, salty, chewy, light, cooked perfectly, as thick as an inch at times. Gluten Heaven. Tons of sauce pools on top (on the sweeter side) with the perfect consistency of tomato. The cheese is sparse but it is JUST the right amount. A few dabs of olive oil on top and boom. I advise eating with a knife and fork. Here’s where you can get one of your own. 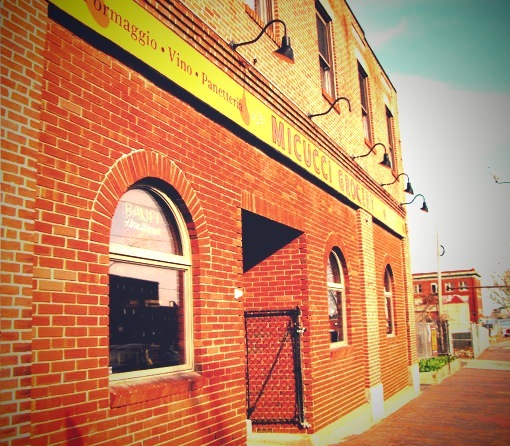 Micucci’s is an Italian food wholesaler with a little grocery store that has been on India St. since the 50’s. It’s an amazing store with fresh bread, pasta, a delicatessen, wine, and the best pizza ever made. There are no signs to direct you to this life changing experience on the outside or the inside. Walk up to the wine section and in the back you will find a rack with fresh pieces. Only available at lunch time, there are a limited amount for each day, so hurry up. Hip Maine blog where I found the Micucci’s pic. Hope they don’t mind.